Copyright © 2017 Wong Keen. All rights reserved. WONG KEEN: A CREATIVE LIFE UNFURLED provides audience a quick survey of New York-trained artist Wong Keen’s prolific body of work in an art journey that spans five decades. The display of over 30 exhibits in different media features selected works from the artist’s notable series, including Formation Series (1997 – 99), Second Nature (2013 – 14), and Orbits of Colour (2015 – 16). Wong Keen (b. 1942, Singapore) grew up in a Chinese literati environment and was already a highly acclaimed teenage painter in the early Singapore art scene before leaving to study at the prestigious Art Students League of New York at the age of 19. 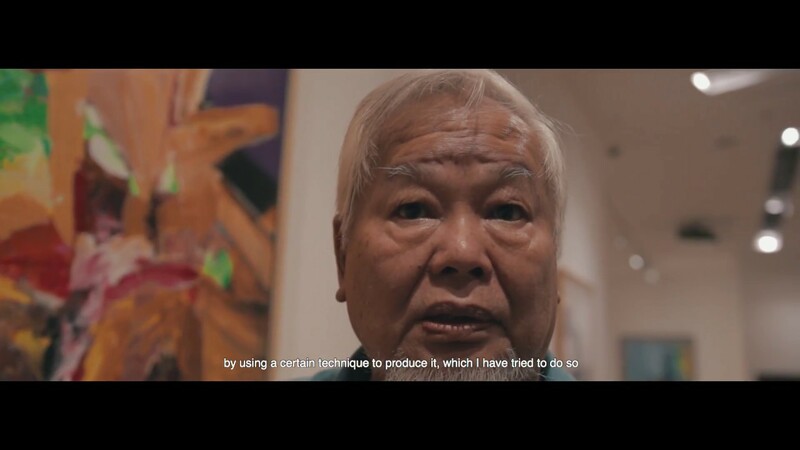 His departure for New York in 1961 marked him as the first Singaporean and earliest of Chinese artists to venture into the flourished American art scene, which was at the time the most avant-garde art center in the world. Having spent over 50 years in America, Wong Keen’s outstanding oeuvre, which encompasses oil, ink, acrylic and collage since the 1960s to the present, is a powerful embodiment of the elegant expressivity of Chinese ink wash aesthetics and the Western inventive approach toward form and colour. From series to series, whether venturing anew or revisiting familiar techniques and imagery, his relentless pursuit of compositional innovation – together with the enigmatic quality of his language – has given rise to a unique body of work that defies traditions and categorisation. In 2007, the Singapore Art Museum celebrated Wong Keen’s masterful repertoire with a solo exhibition. Wong Keen’s work is held in a number of private and public collections, including The National Museum of China, Minnesota State University Art Museum, Albright Knox Art Gallery, New York, Singapore Art Museum, Resorts World Sentosa and The Fullerton Hotel.